Hello, I’m linkandzelda and this is my first major guide in ROM Hacking. Some of you may know me as the creator of Pokémon Liquid Crystal or as the webmaster of The Pokémon World. Either way this is the start to my complete guide to ROM Hacking with Pokémon GBA Roms. I can’t help but notice theres been a lot of amateur hacks floating around especially on other forums which either are low quality or get dumped after a few weeks. My aim is to build new ROM Hackers and to build good ROM Hackers by giving them enough knowledge to be able to create good hacks. Who is this guide intended for, you're wondering. Well it’s mainly intended for true beginners to hacking. To people who have no idea what to do or where to begin to make a hack. It can also be used as reference purposes for other hackers too if you wish. As this is the first guide, and that its just really a large introduction to ROM Hacking there is a lack of images. Over the course of Liquid Crystal’s development I’ve learnt a lot of things about ROM Hacking, including the basics and advanced techniques for performing various actions on a ROM allowing the story and visual aspects be changed to suit my needs. 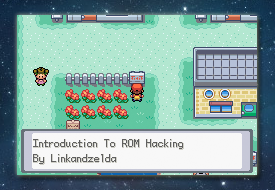 Most of you will be reading this guide because you want to learn how to hack Pokémon ROMS, I presume, so this part of the guide will focus with an introduction to ROM Hacking in general. I will make parts later on guiding you from the very beginning on how to ROM Hack. I believe that if you know how something works you can hack it. And it’s true with anything, I would say. Your probably thinking “Oh LaZ don’t tell us a huge load of stuff about ROMs, we just wanna get hacking right now!” well yea I was the same when I first started hacking in 2007. But I can promise you, after what I’ve learnt and the way I benefited from the inner workings of a Pokémon ROM, you will do yourself good to read this section fully in order to grasp as much information as possible. When you create a game you have to first create an engine to power the game. An engine is a large piece of code written in a computer programming language to tell the game how to work and to make things happen. Similar to how you need an engine for a car to move. Without the engine, even if you have the car body it will not move. The same is said for games. The game engine works in the same way. You’re probably wondering why I’m talking about game engines. It’s because Pokémon games also have an engine that they run on. ROM Hacking, can also be considered as game engine hacking as your modifying the inner workings of the game. Although most ROM Hacking is mainly what I like to call surface level hacking. These terms such as “engine” and “surface level” might be baffling to you right now, but read on and you will hopefully have a better understanding. Some of the things you might think are irrelevant, but they exist as analogies to help you see the bigger picture and to associate different ROM Hacking aspects with other real world aspects. I spoke about the game engine being the inner workings of a game before. Well, what about the visual aspects and levels? Are they part of the engine? The answer is no. For every game there Is stored data involved. With game engines the stored data is the engine itself, and then all the resources the engine uses to actually display a game’s visuals, the interfaces used to navigate the menus and the music. The engine is used to display these resources on the screen, and controls how they are displayed and when. What this boils down to is, anything that we see and hear as a game player is considered surface level hacking. For instance we don’t see “how” the Pokémon game shows a sprite on the screen do we? To us as the players we just see the sprite on the screen with no idea how it actually got there, in a technical sense I mean. To summarise, this guide will be available in 2 parts: surface level hacking and hacking the inner workings of the ROM. I will be starting with very easy things to begin with, coupled with the technical aspect of what you’re actually doing to the game. This guide is more than just a “I will teach you to use a tool” type of guide, like most of the guides that already exist. This guide is a full on “how to make a hack” guide. You will learn the basics and advanced features of all ROM Hacking tools and how to use them on the ROM. You will also learn how to make good hacks, how to pick a good story and how to make good scripts. You will learn a ton of things in this guide which by the end of it you will be able to produce a good quality hack. When creating a plot for a new game you have to consider the official “Pokémon” things such as their being 8 Gym Badges to collect and then an Elite 4 + Champion. Most new hacks all feature this same set + or - the amount of badges. I have two views to this approach. I’m happy with the traditional Gym Badges story line as it’s what we all know and love, but theres also another aspect to this. This Gym system can be total reinvented and reused to create a different environment and gameplay experience. How about a ranking system? You could play as a covert operative in a secret organisation who needs to beat his commanding officers in a battle, in order to win their rank and command the organisation. Just an example of how it could be used. After you have thought of a general plot overview you need to expand upon it and think of characters, and who will control the main events of your story. How Thinking of characters before you start creating allows you to plan ahead, get a feeling and personality for each one and then possibly even write down some of the text your characters will say in game. Future planning is important as its one of the biggest stoppers in making a ROM Hack. Not planning at the start will get you lost when you start and you will rely on your imagination to think of something on the spot. If you can’t then you are stuck. By now, you should have a plot idea, a set of characters and a features list. This is where you can pick your ROM Base to use for your hack. What is a ROM Base? It’s the Pokémon game you will be choosing to hack. Each game has advantages and disadvantaged when being hacked. Currently, each GBA Pokémon ROM has specific features not found in the other game. For example Pokémon Ruby, Sapphire & Emerald contain a berry system where you can pick and plant berries in the ground. This system is not natively available on the FireRed or LeafGreen ROMs. FireRed & LeafGreen contain a move tutor system which allows you to teach moves to different Pokémon. Ruby & Sapphire do not have this system. This might be confusing to know exactly what each ROM has and what the others don’t have. You could be saying “But can’t I make my own [insert feature here] on FireRed?” You could invest time in making your own system of something that’s already natively available, go ahead. My personal advice though, is to make the best use of what you have provided, and consider the features in your hack and how features in your selected ROM Base could be used to produce them. Below is a table of all the GBA Pokémon Games and their specific features & items listed. This can help you to quickly pick the ROM of your choice. You basically have 3 choices that you could pick from. If you can’t decide from the information instantly then feel free to think it over and come back to this table later on. If you require more information I will include a small description of each major ROM after the table. These ROMs are the ones chosen by many beginners as it’s dubbed the “easier” of all ROMs to hack. 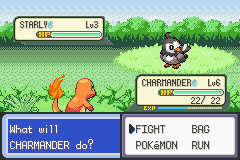 Lot’s of tools support FireRed with it being the main out of the two, with LeafGreen not as supported. Theres a lot of hacks and tweaks available for FireRed ROMs which can provide a lot of extra functionality including a hacked engine and an extra Pokémon patch in the works. How do i start hacking? like how do i hack the game? and how do i start? where's the table with features?